The production press conference of MBC drama 'Heartstrings' was held today 2pm at Novotel Ambassador Hotel, Gangnam, South Korea. All cast members were present at the press conference. They introduced the drama, the cast, the PD and the scriptwriter. This is CNBlue's leader Jung Yonghwa's first time taking a lead actor role. He said that at first he felt stressful, but as filming starts he feels much more relaxed as he and Park Shin Hye co-operated together in previous drama 'You're Beautiful' (2009). 'Though I cannot grasp the emotions of my character 100% correctly sometimes, I still work my best to prepare for it. I receive many valuable opinions from people around me, which makes my filming experience fruitful." Yonghwa said, "I didn't know Park Shinhye would be casted. I loved my character too much. After I heard Shinhye was casted, we discussed a lot about the characters. Then the filming started, Shinhye and I are friends, we can talk about our drama more comfortably.Park Shinhye said, "I thought Yonghwa being casted would be a plus effect. It's been two years since we've met in front of the camera. I felt awkward about his character at first, but as the filming goes by, I feel fresh to see that Yonghwa had this side of figure. I am being stimulated by him, really enjoying the filming.Same age friends two are stuck together always. In the drama, Yonghwa plays a college idol Lee Shin, who is popular in school but has an extremely badass personality. In contrast, Kyu Won (starring Shin Hye) is a compassionate and warm-hearted girl. When asked about rumors of them dating, Yonghwa said "Maybe it's because Shin Hye and I are so close. But instead of lovers, Shin Hye feels like a same-age guy friend to me. 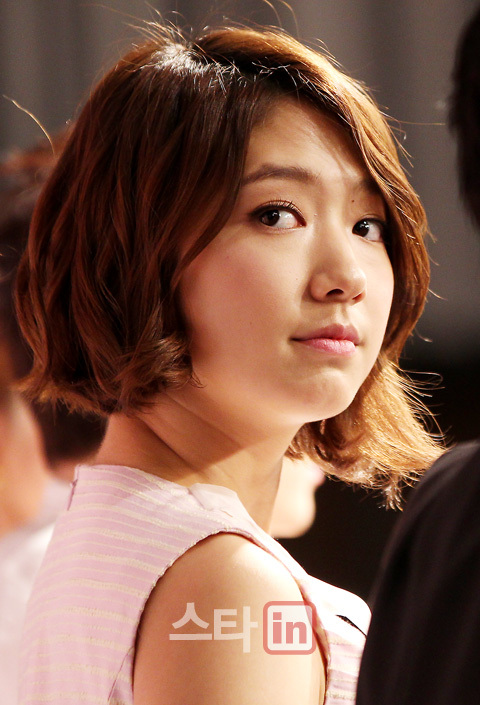 I don't have a lot of friends who are actors, and Shin Hye is one of the few." Shin Hye responded: "Yonghwa is a very good friend, but as a guy... well he's Type A bloodtype..."
Park Shinhye said, "When Yonghwa didn't sleep enough, he bothers me, behaves badly. Sometimes his mischief exceeds the limit, I get angry not as Gyuwon but as Shinhye. We are quarreling and building our characters.Yonghwa said, "I bother her not because I am interested in her, but I feel so comfortable with her. Now I feel like she is CNBLUE member." On Yonghwa's birthday (June 22), the filming went past 12am. When nobody remembered nor said happy birthday to him, Yonghwa said he was quite upset. But Shin Hye, Minhyuk and other staff surprised him with a birthday cake. To that, Yonghwa said "Shin Hye pretended to be angry with me that day and didn't talk to me. But I didn't notice that it was part of the plan and was upset. I thought, are people forgetting my birthday because I am growing old?" Park Shin Hye added: "I wanted to surprised him that's why I pretended to be angry. We ran out to buy a cake for him in the middle of filming, yet he got angry! >_< And Yonghwa's fans tweeted me on Twitter asking why I didn't celebrate his birthday.... >_<"
Heartstrings is a melodrama about love, friendships and dreams. The 1st episode will be broadcast on MBC on June 29 2011. 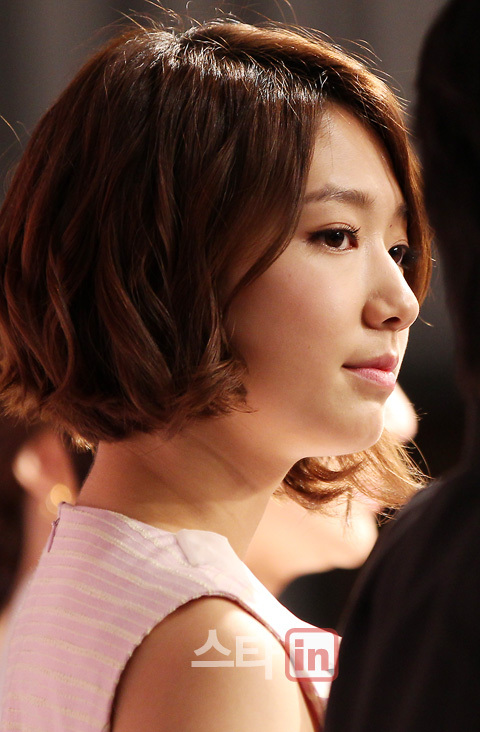 Join our NEW Heartstrings fan project and give Shin Hye your support!! All you need to do is to COMMENT! awww Shin Hye is so pretty in her pink dress in all the photos. Dazzling! I can't wait to Heartstrings. SHIN HYE So beautiful .... Yonghwa very handsome ! and it was very funny birthday Yonghwa ...he was angry because he thought he had forgotten his birthday but it was not so hehe!! I Love shin hye and Yong hwa! She's using different color of clothes. Trying to break the pink and the white?... Does this mean she will not be confined to colors others like. Good! He he he... so not be conformed to the molds of other people set. Rather, etch you're own place under the sun. In this way, you'll be happy even if others are not!